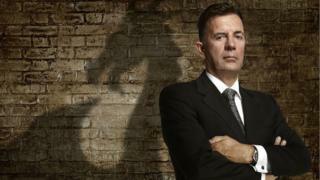 Duncan Bannatyne has announced he is leaving Dragons' Den after 12 series due to "other business commitments". The 65-year-old's last appearance on the BBC Two show will during the next series, which begins on 20 July. "I do not plan to make any further investments on the programme so thought it fair to offer my seat to someone else," said the health club mogul. Bannatyne's departure will leave Peter Jones as the last remaining original dragon on the show. The other dragons include Deborah Meaden and Kelly Hoppen. The programme sees businessmen and women present their money-making ideas to the panel of "dragons", who either invest in schemes or pronounce "I'm out". Mark Linsey, the BBC's controller for entertainment commissioning, said: "Duncan has been the most formidable Dragon and we are going to miss him enormously. He has inspired many entrepreneurs to come on the show and helped make Dragons' Den a huge success for BBC Two." "His seat is going to be a difficult one to fill, but he leaves the show on a high, with this next series being the best yet," he added. Bannatyne said: "The series that is about to be transmitted is my final season and I'm delighted that it is full of exciting, high quality pitches. I have made a number of investments and it really is must-see business TV." His business success took off with the purchase of an ice-cream van, which he later sold before investing in a chain of nursing homes. Bannatyne sold that business in 1996 and built up a chain of health clubs and spas. According to the Dragons' Den website, he has invested almost £2m in schemes on the programme to date.